Purchasing a premium window is only half of the battle; an improper installation could result in any number of problems. Our Professional Installers take the time to do it right the first time! Mitchell Window and Door provides professional window and door installation services to help your home look its best. We are Replacement Window Specialists, and have the track record to prove it. Mitchell Window and Door has been in the construction industry since 1995. With experience and attention to detail we insure the best products and customer service available. 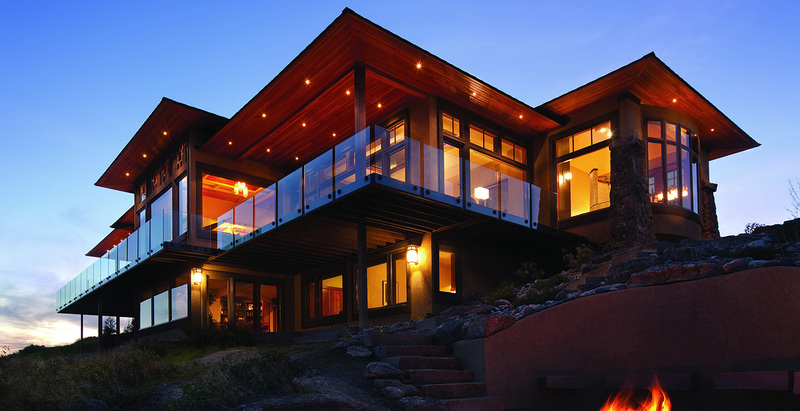 We offer the latest and greatest in Windows, Doors, Skylights, Lock Sets and Hardware, and more. Ask us about Custom Design to help enhance both the beauty and energy efficiency of your home. With two locations, serving the Rouge Valley, Ashland, The Oregon Coast and South Douglas County, Mitchell Window and Door is the Premiere window and door company for Southern and Coastal Oregon. 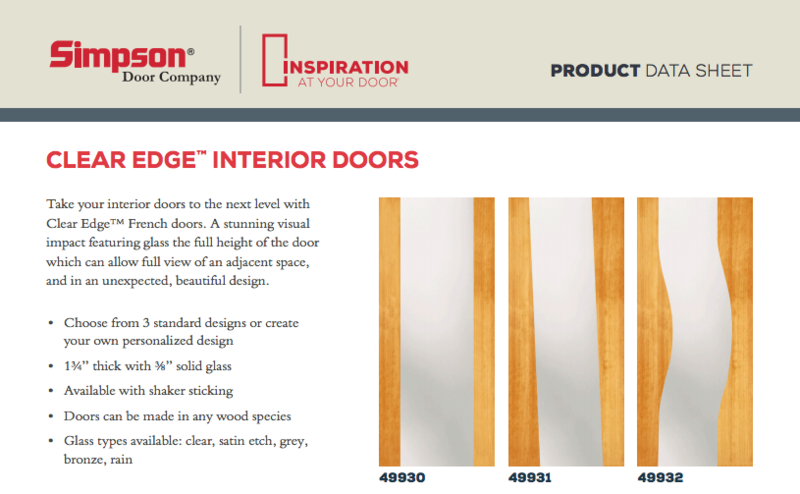 Simpson has introduced a completely new concept with Clear Edge™ French Doors. These doors are a stunning design statement for an interior door due to removing both the top and bottom rails. This creates the appearance of wood stiles floating on each side of the door and is a fit for a modern home or any door where the homeowner is looking to make a visual impact. Clear Edge™ French doors are 1-3/4” thick with 3/8” solid glass, available with shaker sticking, and can be made in any wood species. You are never limited to a single choice with Simpson, which is why Clear Edge Interior French Doors are available in five different glass options: Clear, Satin Etch, Grey, Bronze & Rain. We work together with you from Estimate to Completion. We take the time to explain how our professional installers will care for your home. We’ll help you with Energy Trust Of Oregon to maximize your savings, and help you to upgrade the energy efficiency of your home. From end to end, you can count on Mitchell Window and Door to give you the best Customer Service that can be had. I had not heard of Milgard windows before moving to Oregon in 1995 from Connecticut. Milgard turned out to be an excellent, high quality replacement for our old, worn-out aluminum windows. The improvement to our home was amazing and well worth the investment. Chris and his crew did a SUPER job of installing these new windows and doors, right down to the last detail of matching the color of the caulk to the tan color of the window frames. I wouldn’t hesitate to recommend both Milgard windows and Mitchell Windows and Doors to anyone in need of new or replacement windows. We bought a foreclosure and it needed some work, windows were #1! 23 of them! We chose Mitchell Window and Door and I highly recommend this business. Chris came out and measured and gave us the quote. Mitch and Corey did most of the work. Corey was here every day and he was awesome! He kept us aware of the progress and what was next, which was helpful for a job that took about 6 days. He even changed the trim on a couple windows they did not replace so they all looked the same. Tim, the office manager was always helpful whenever I called. We are very pleased with our new windows! Highly recommend this dealer for several reasons. Chris showed up to bid the job promptly. He took time to discuss options with us and was patient as we had some design requests that entailed enclosing a wall (framing, wall boarding, etc.). He executed that request exactly as we’d envisioned and staff did all of the work flawlessly. He anticipated the arrival date of the windows, they came on time, and his crew started that day. They were all very nice and polite, left the site clean, and we are very happy with the job. Am glad we chose him from all of our bids.